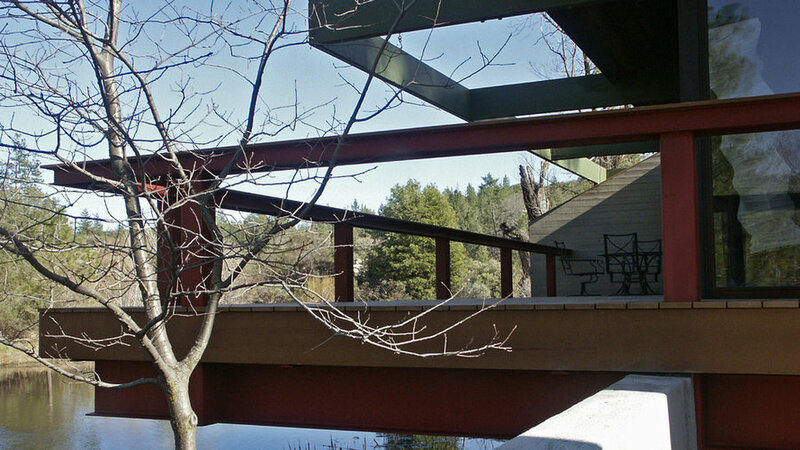 This elegant cantilever deck extends 12' out and over the edge of the lake. The 14" tall I-beams are 25' long and extend under the house and are bolted to a pair of 4000# footings. There is enough strength here that a pick-up parked on a single beam would only deflect 1/8". This very simple and clean design is elegant and yet does not distract from the natural beauty of the mountain landscape. 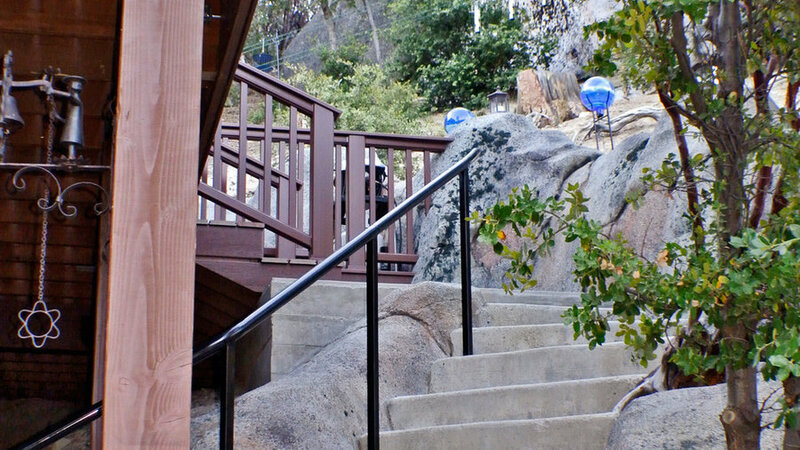 This view shows the orchestration of the existing stairway, the new deck, and the new faux rock retaining wall. This took a number of design iterations to perfectly balance the driveway passing under at the left, the foot traffic up the existing stairway, and the entry point onto the deck itself. The result is a very efficient design that also feels nestled and protected in the surrounding landscape. 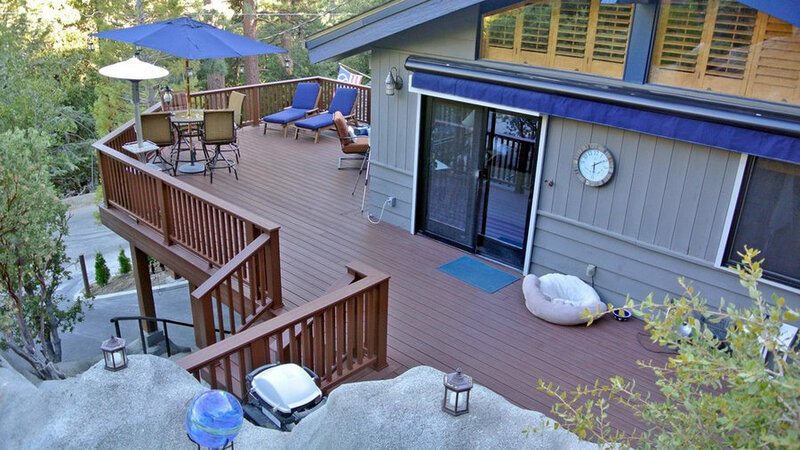 This is the completed deck showing the 25-year warranty Trex surface and railing. The large beam structure allows cars to drive under the deck and into the carport just out of view on the right. 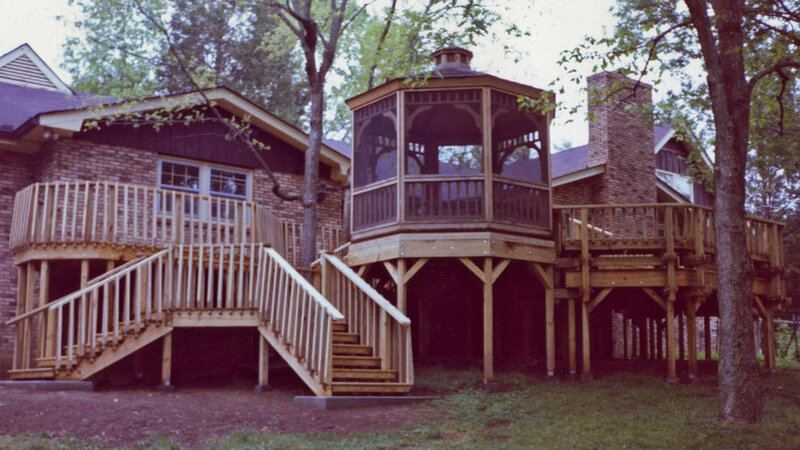 This deck incorporates multiple access points, a custom sunken seating area, an integrated gazebo, and custom pickets. There are three entry points into the house as well as a stairway to the carport on the left and another stairway to the backyard. This completely transformed the use of the backyard area by bridging the house and the yard.